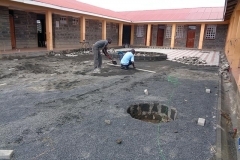 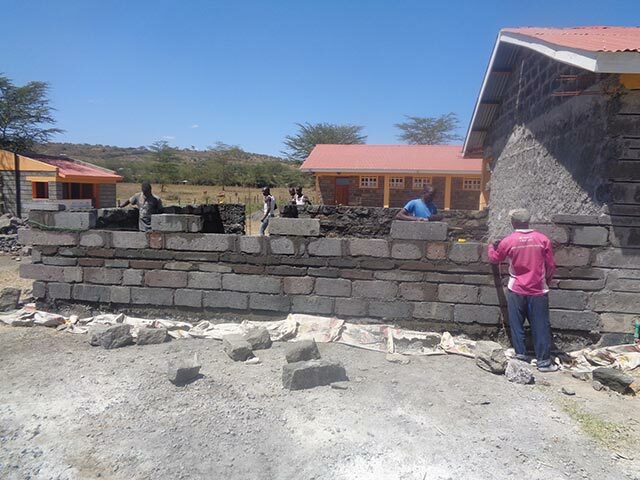 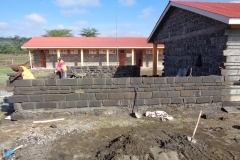 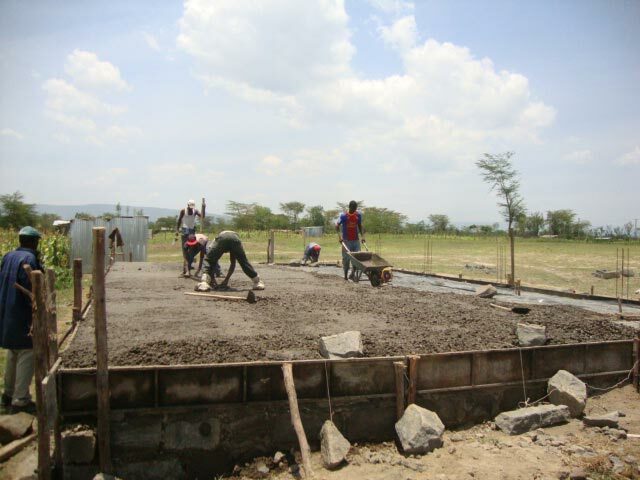 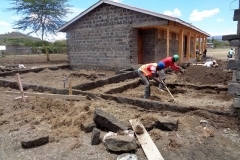 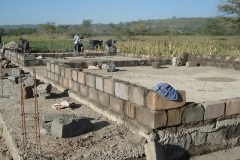 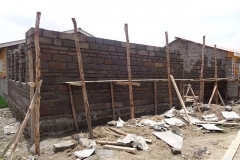 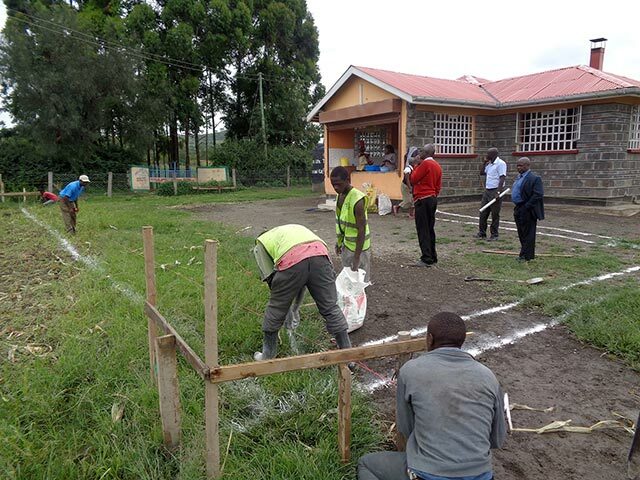 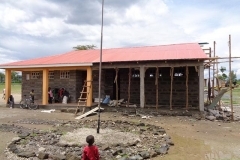 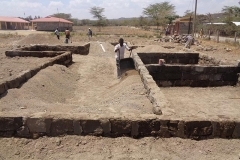 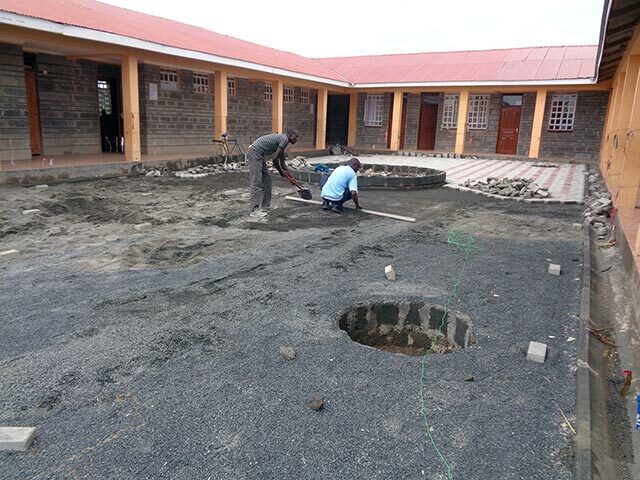 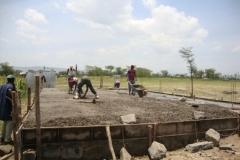 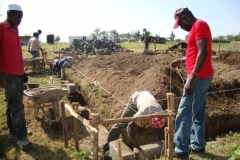 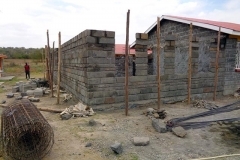 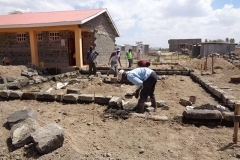 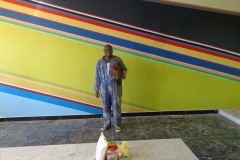 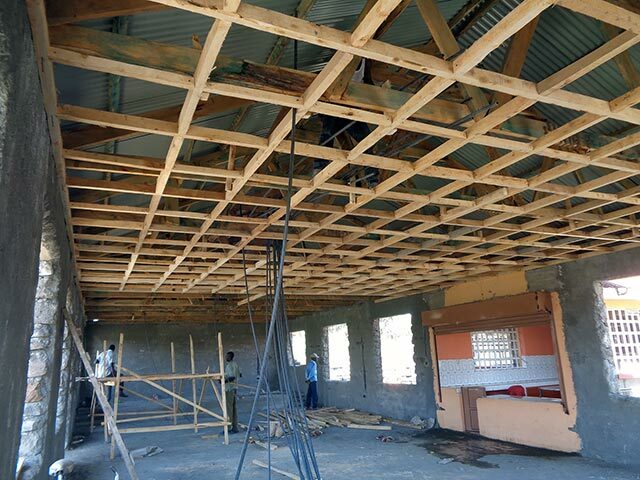 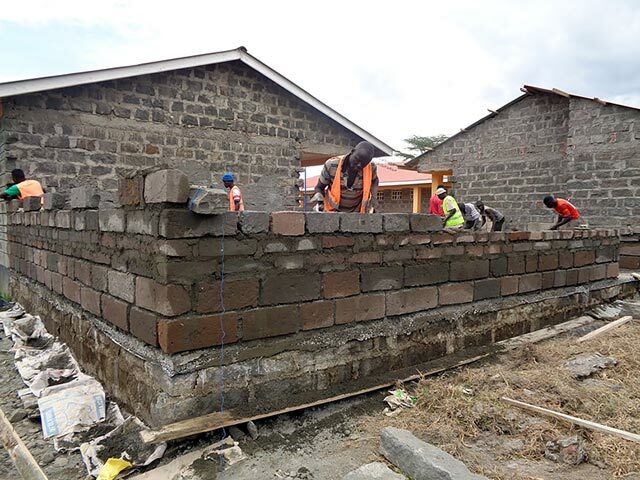 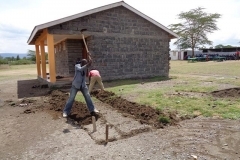 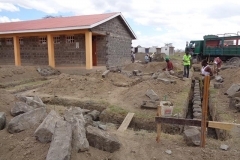 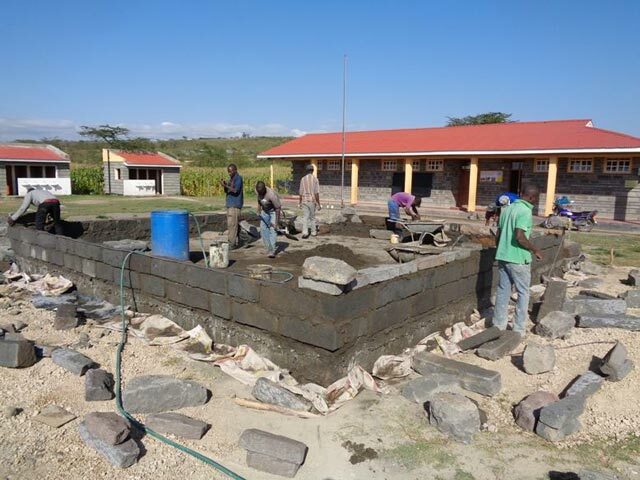 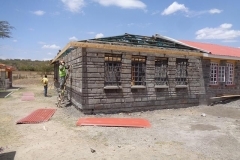 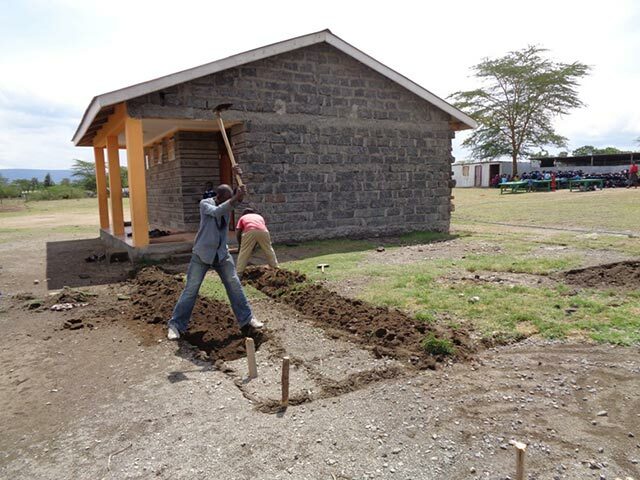 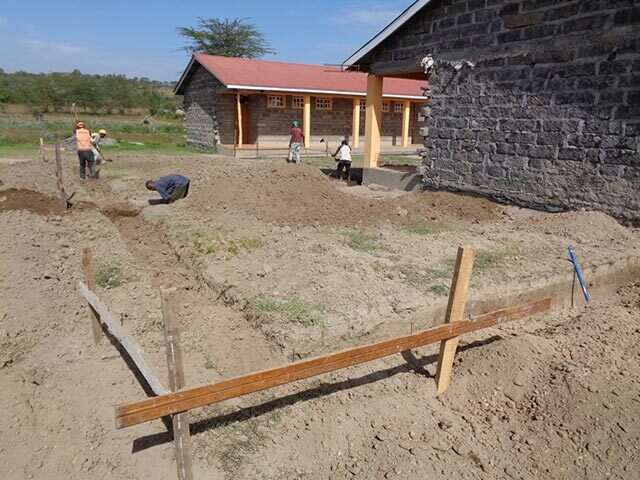 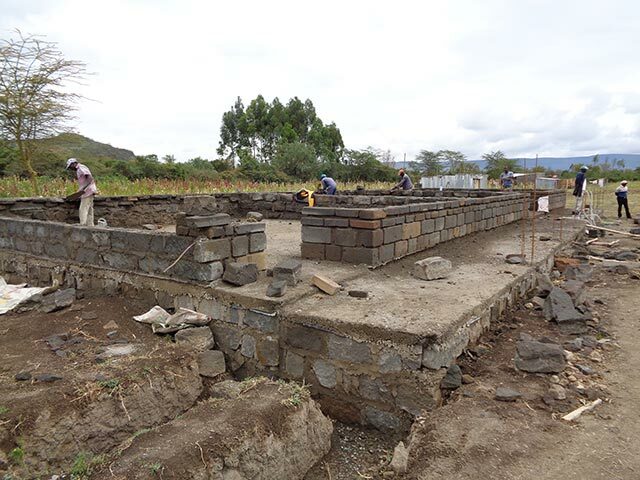 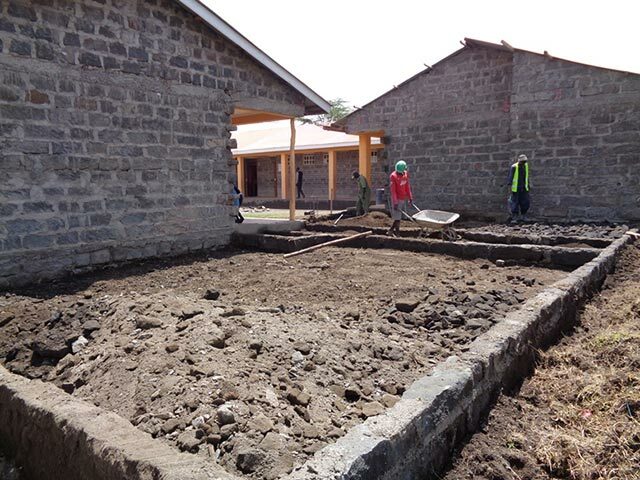 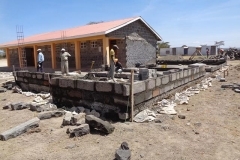 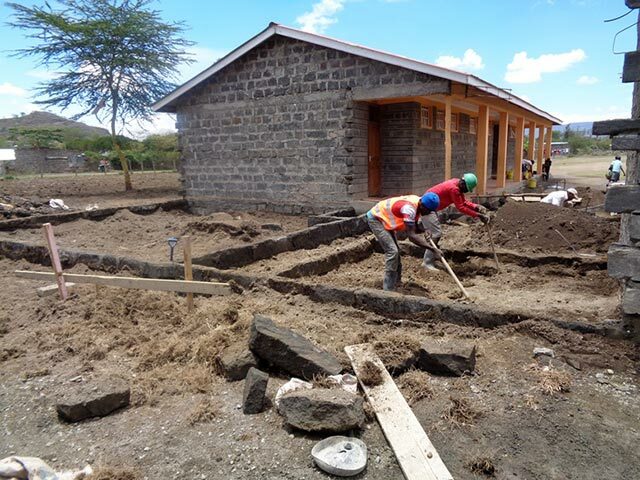 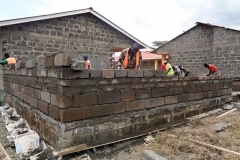 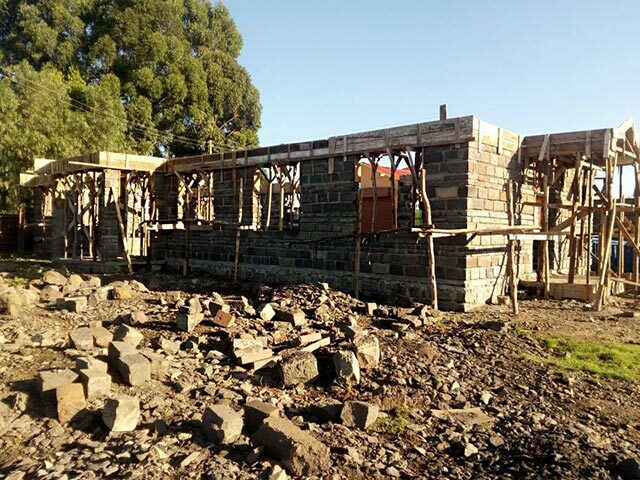 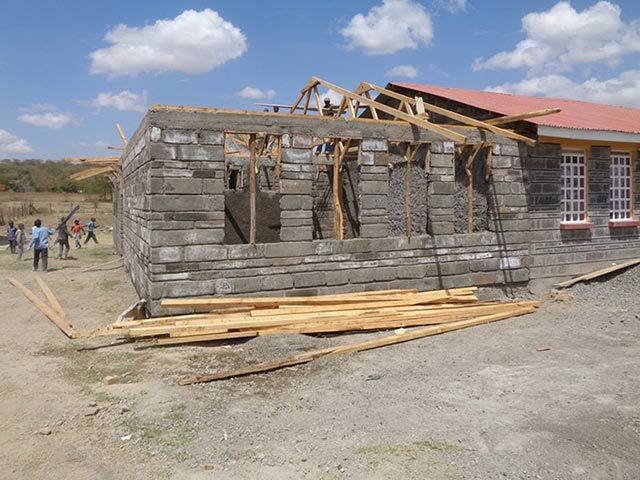 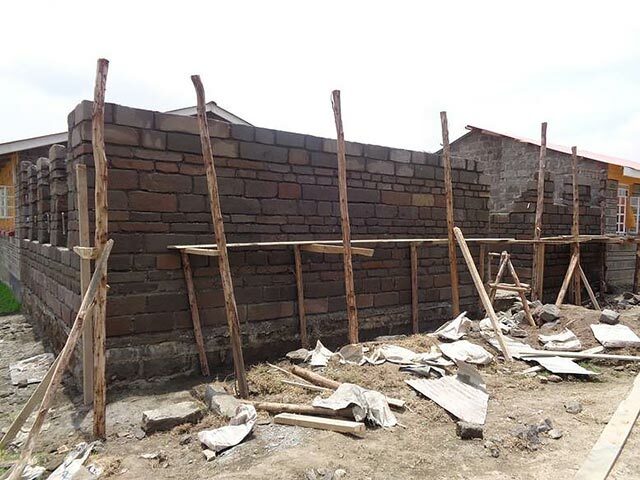 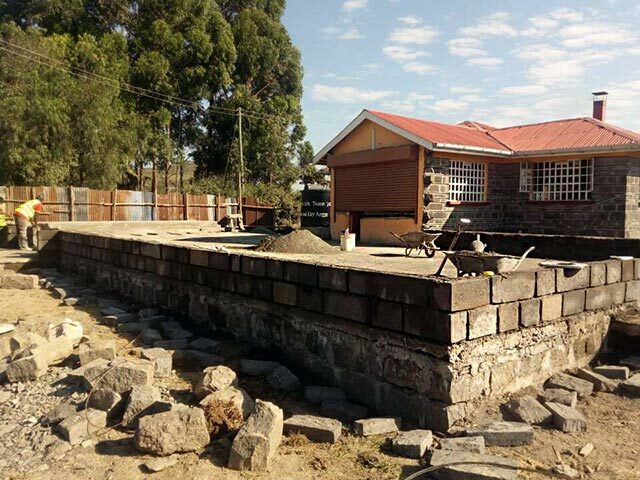 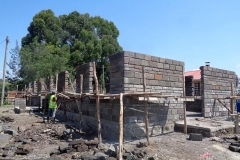 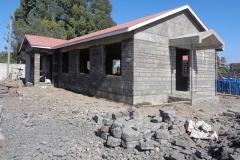 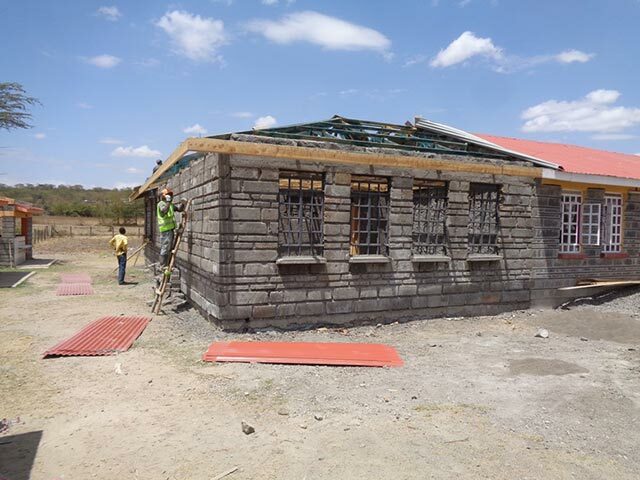 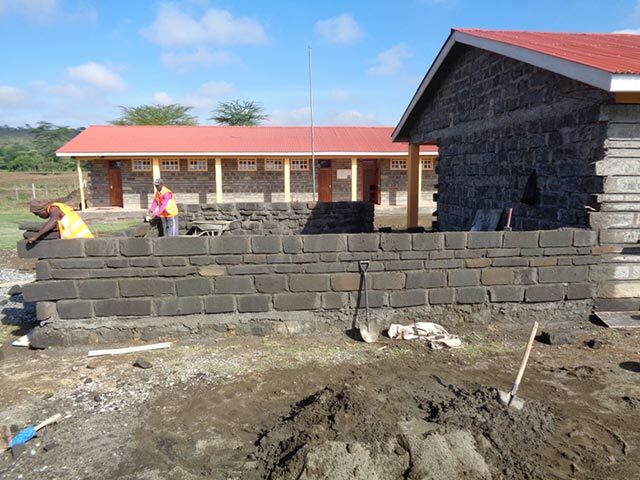 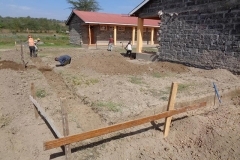 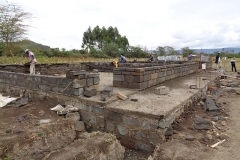 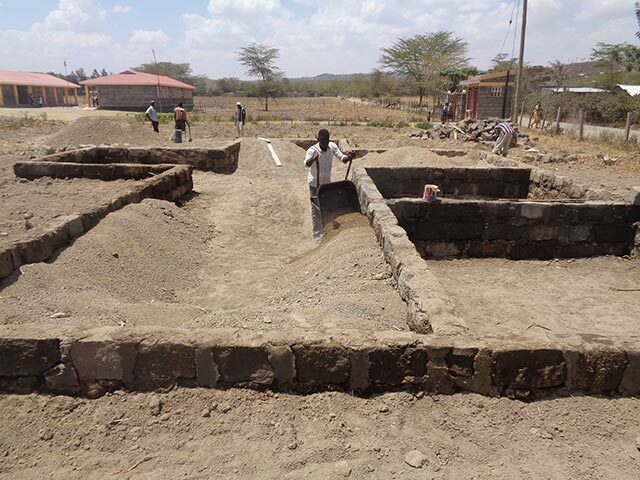 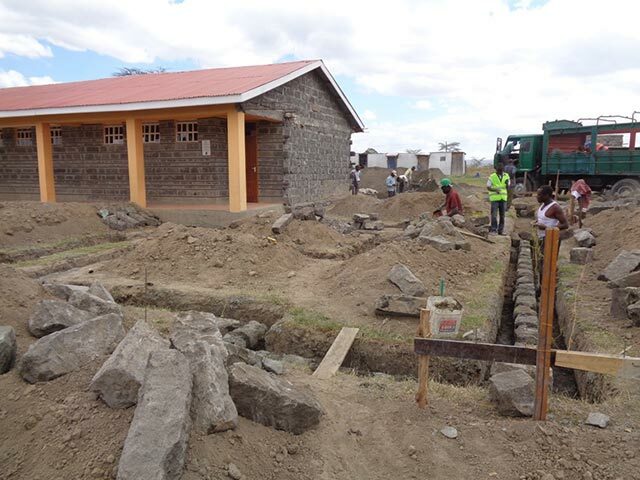 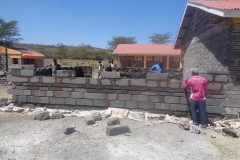 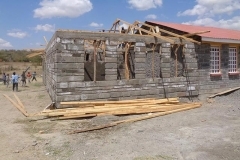 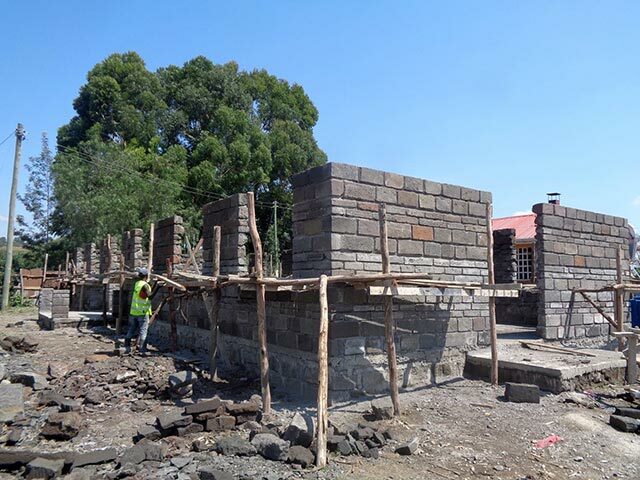 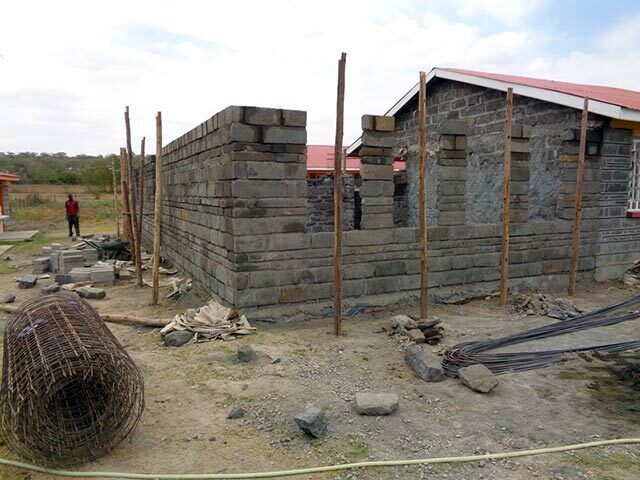 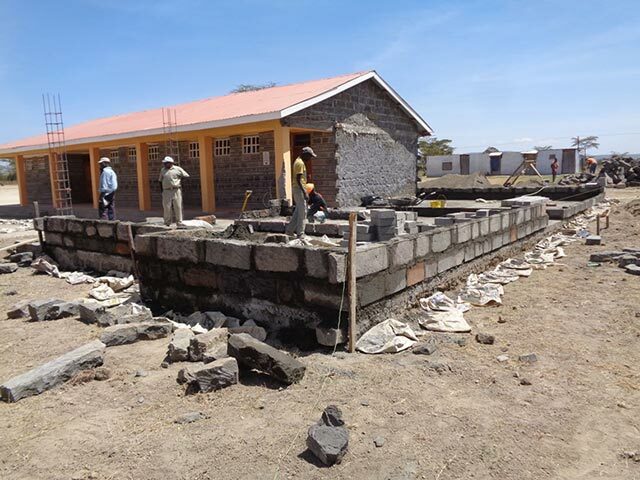 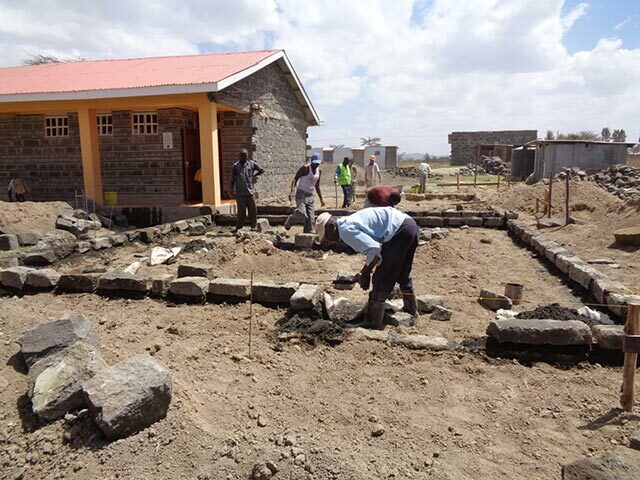 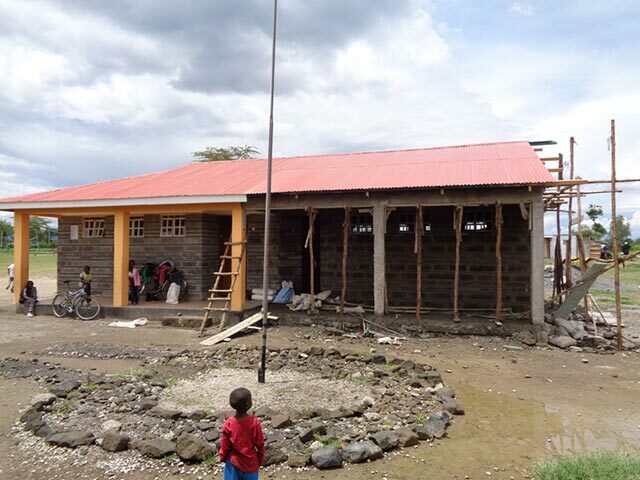 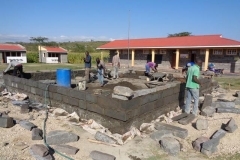 Construction – School Center – Leben und Lernen in Kenia e. V.
The following pictures document the progress of the building activities at our school center:. 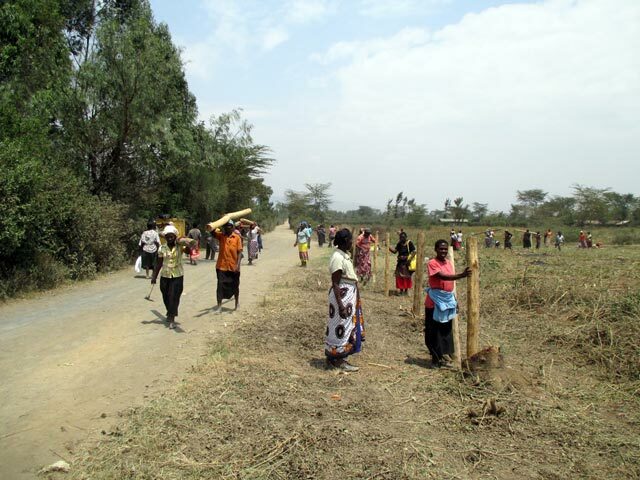 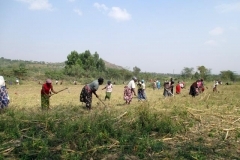 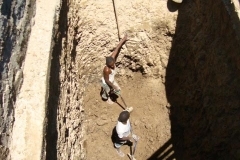 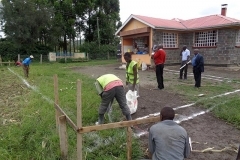 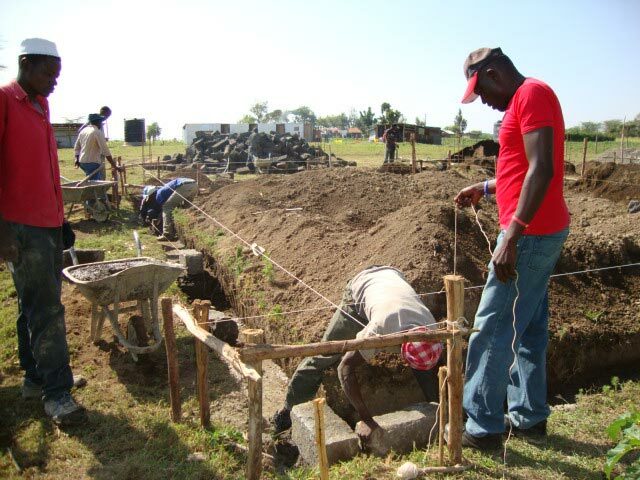 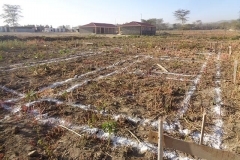 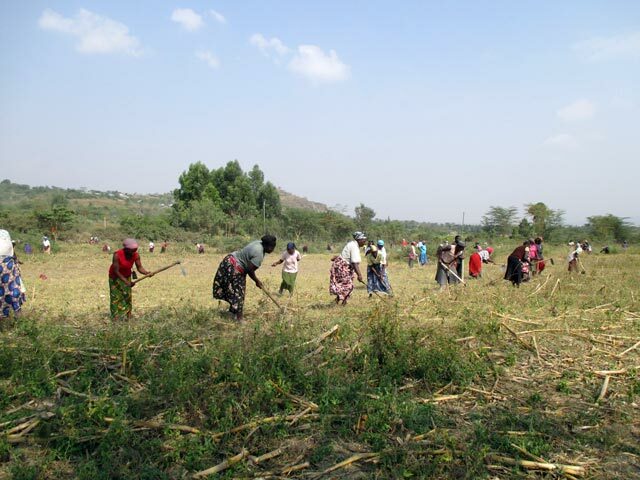 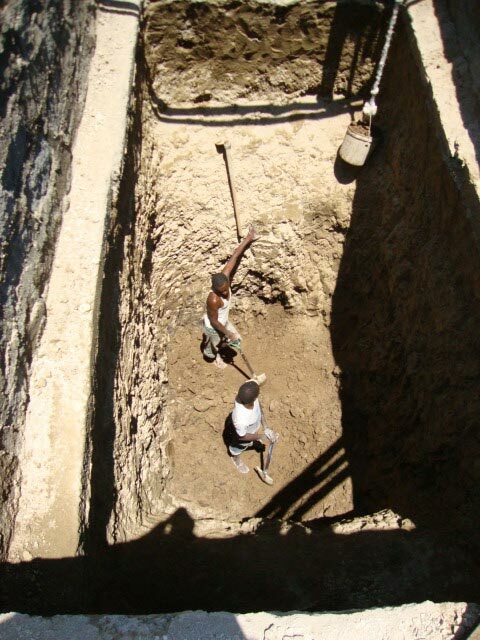 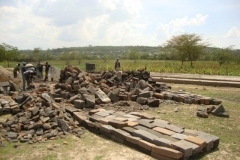 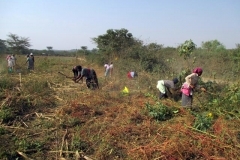 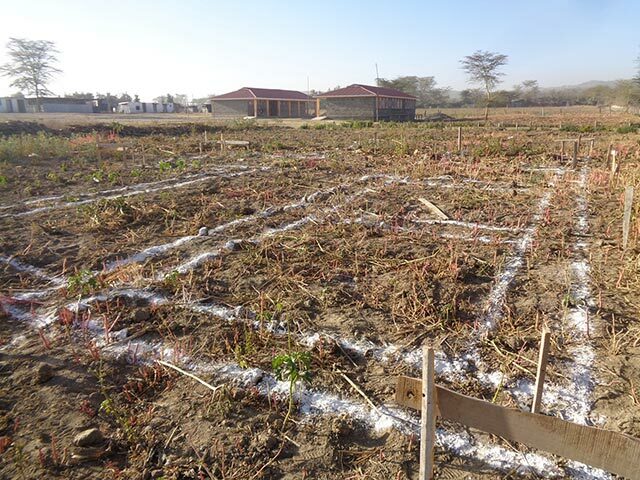 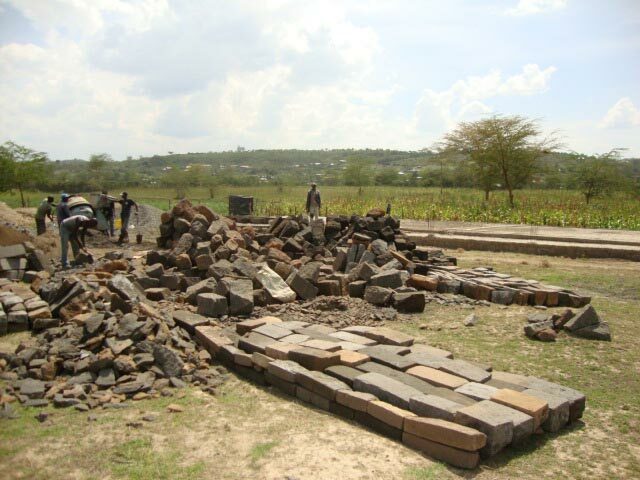 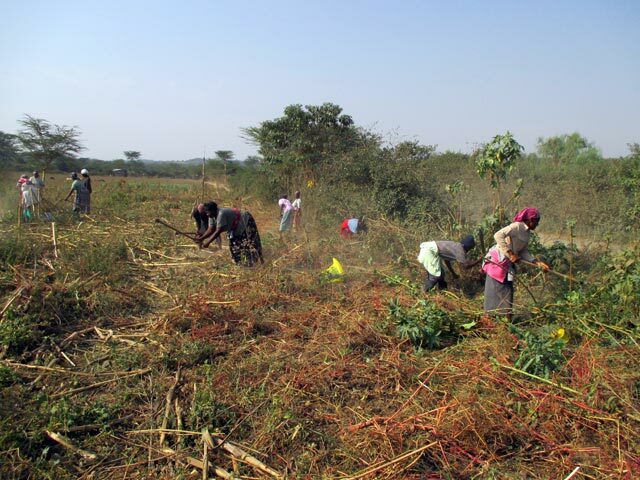 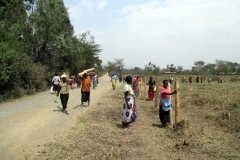 In 2014, the parents of the project children cleared the area acquired by LLK (about 100 m x 100 m in size). 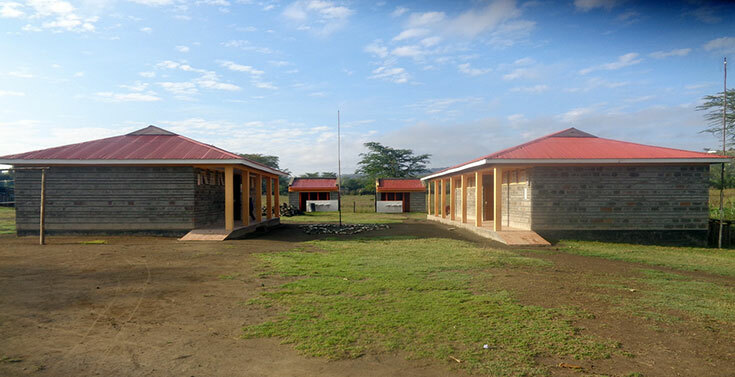 A few weeks later, the construction of the first three classrooms began. 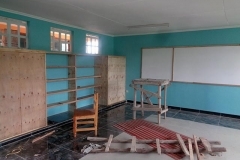 In each of the following 3 years another classroom could be added. 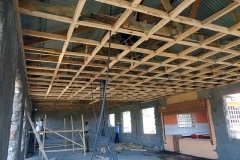 At the end of 2017, the construction of classroom no. 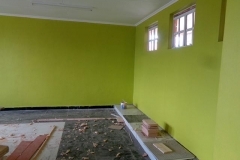 7 and the first part of the office / teacher’s room started. 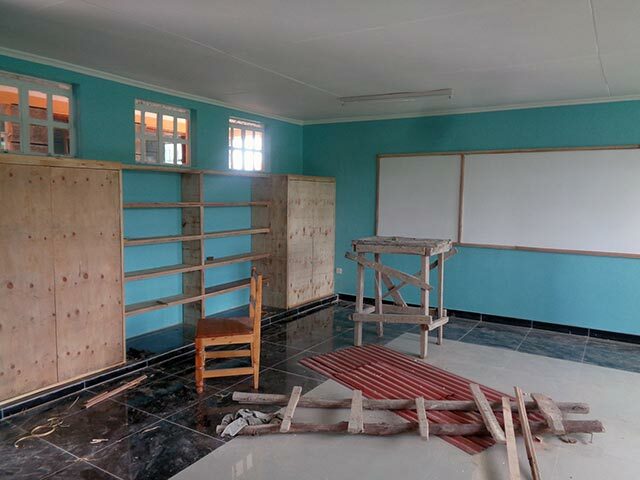 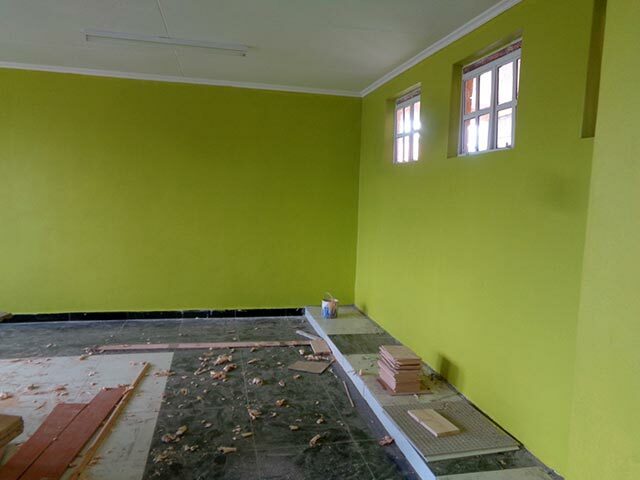 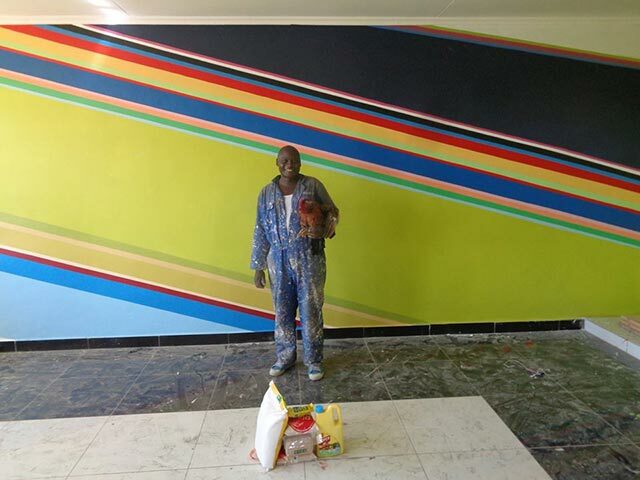 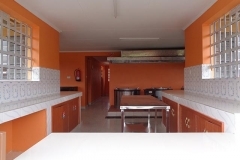 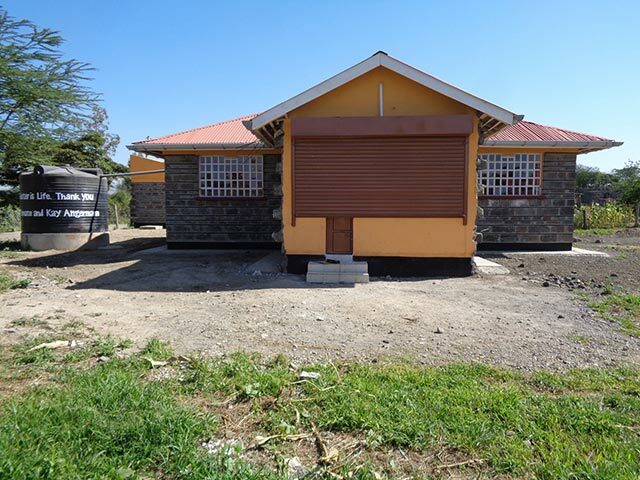 In March 2018, the rooms were completed and the construction of the last classroom and the second part of the office / teachers’ room started. 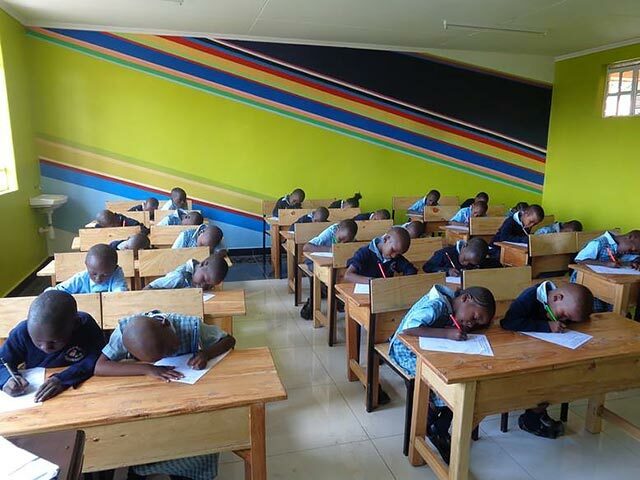 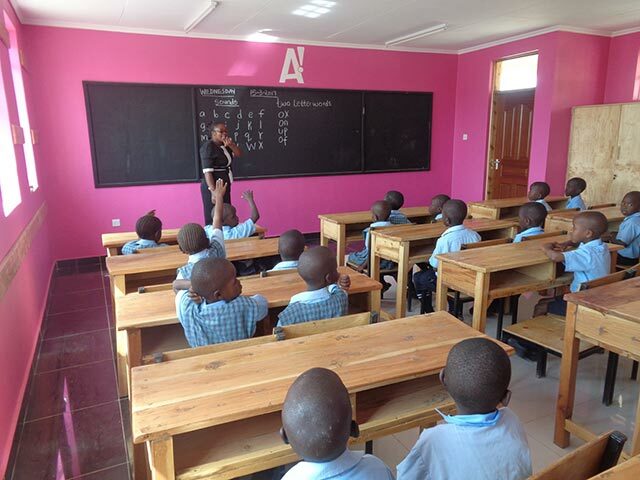 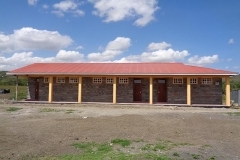 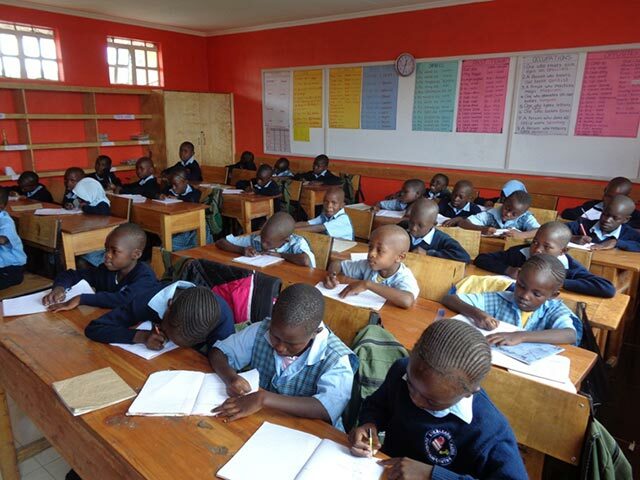 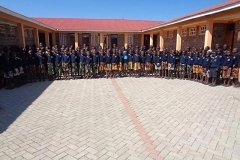 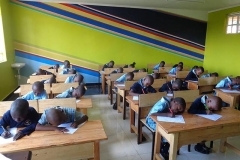 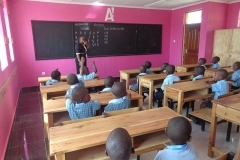 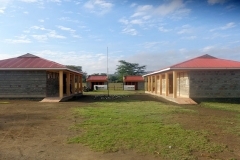 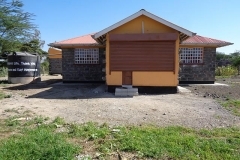 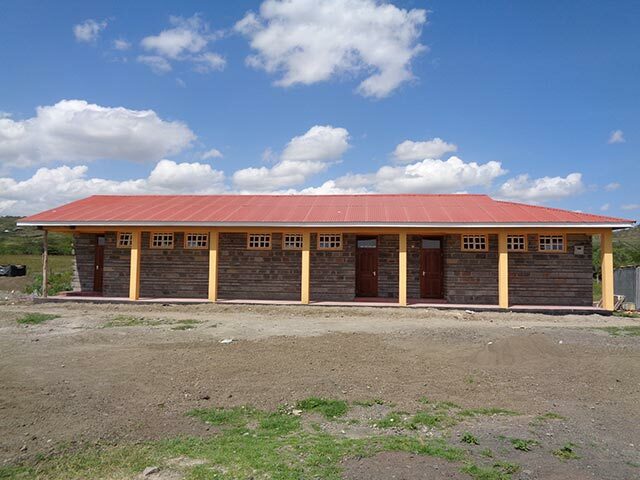 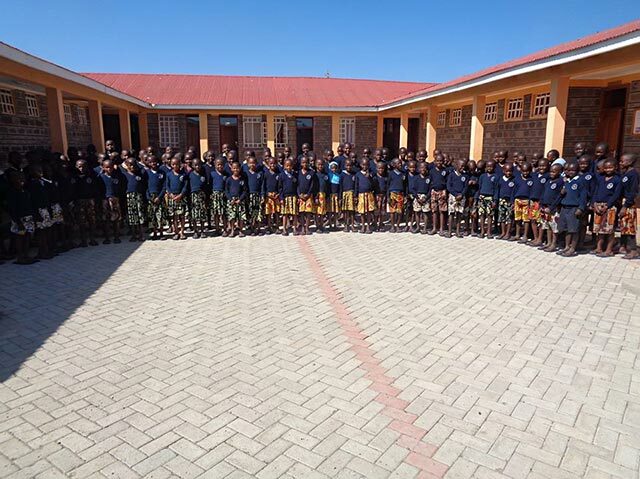 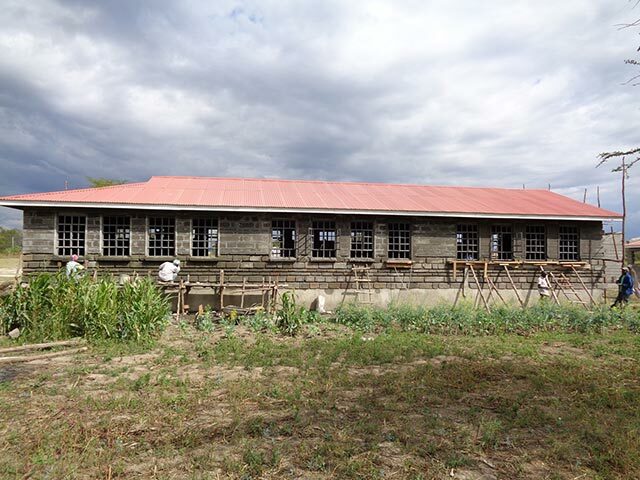 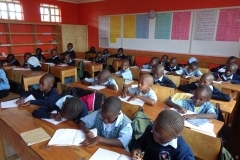 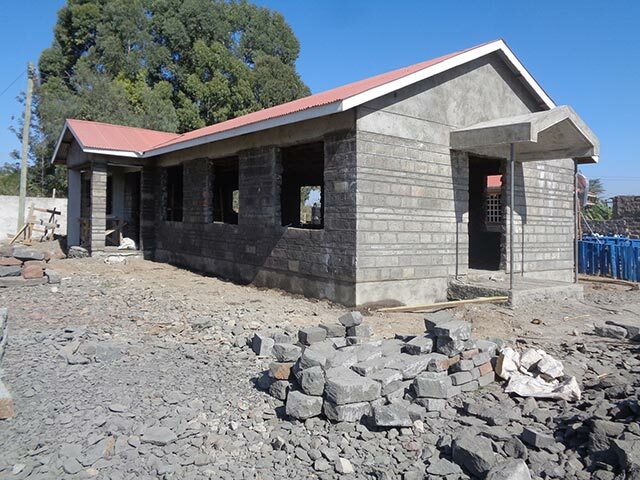 In May 2018, the construction of the primary school was completed with 8 classrooms, office and staff rooms. 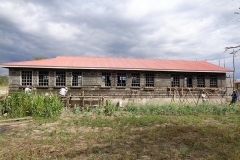 In 2017, the new kitchen building was completed. 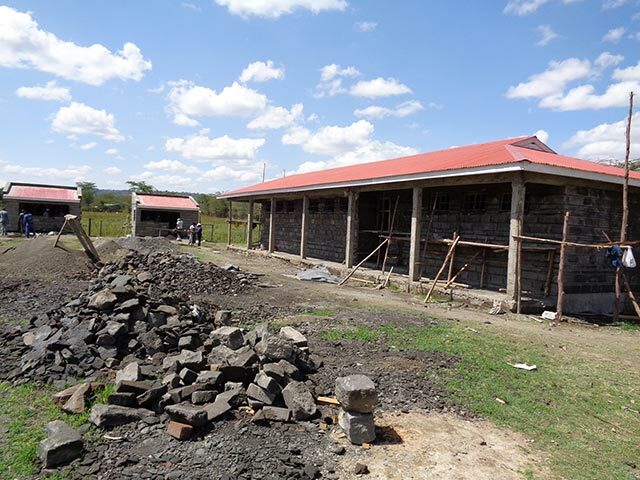 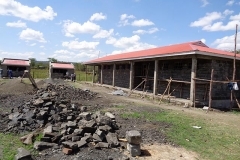 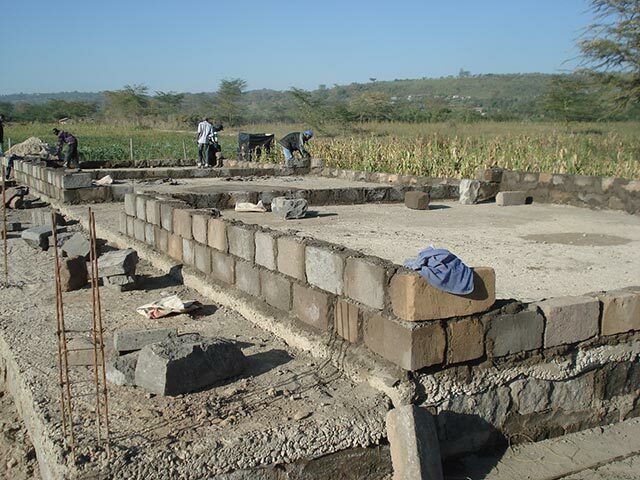 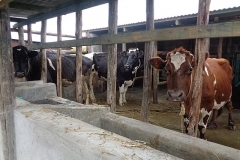 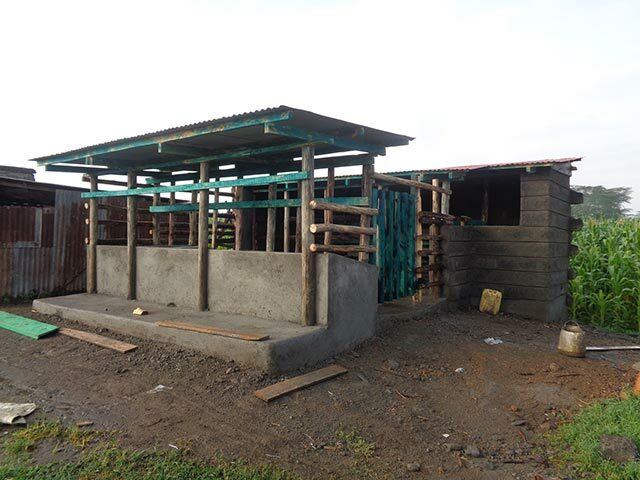 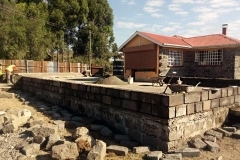 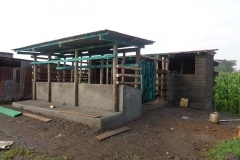 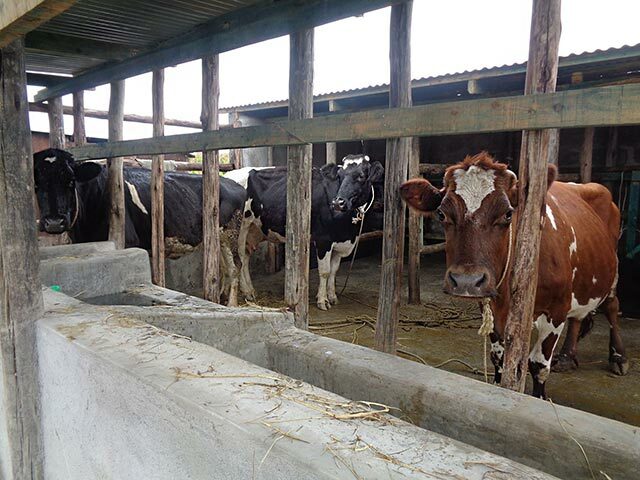 Parallel to the school construction, the cowshed for the three sponsored cows was finished and a stone wall was built around two sides of the property. 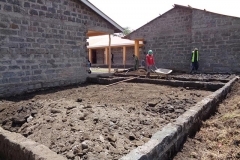 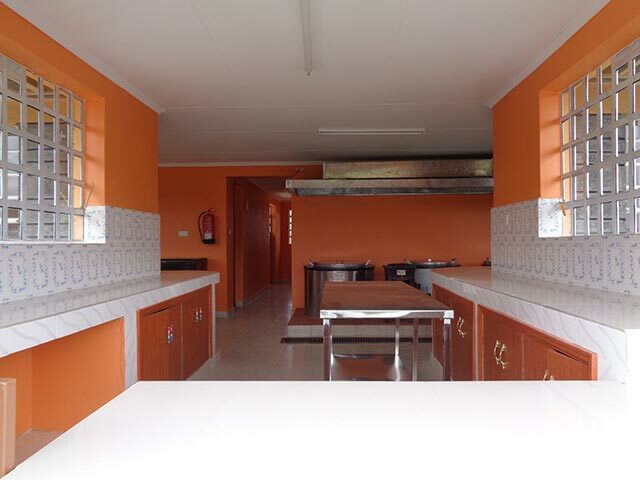 In June 2018, the groundbreaking ceremony took place for the construction of the dining hall (which should also serve as a multi-purpose hall) and its connection to the kitchen. 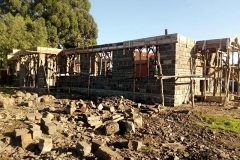 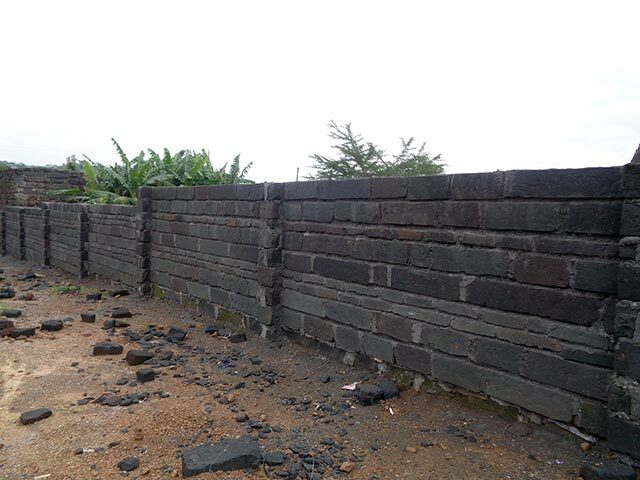 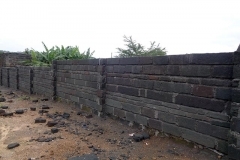 However, the funds accumulated towards this construction have been used up in September 2018 and the completion is dependent on further new donations.